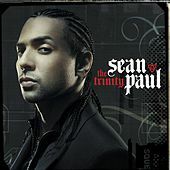 Taking a good three years to record a follow-up to the insanely successful crossover Dutty Rock, Sean Paul sticks to weed and women as subject matter on the slightly less exuberant The Trinity. Pot anthem "We Be Burnin'" hits the spot, and Paul proves he can actually kinda sing with "Never Gonna Be the Same." 2005 Atlantic Recording Corporation for the United States and WEA International Inc. for the world outside of the United States.